We hope these photos from the 2012 DARE to PLAY Football and DARE to CHEER Camps capture the joy and excitement of this fabulous annual event. 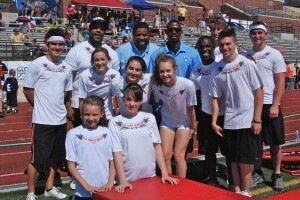 Many thanks to our outstanding guest coaches Brian Dawkins and Jack Del Rio and of course, to Ed McCaffrey for hosting this event for the third year in a row. 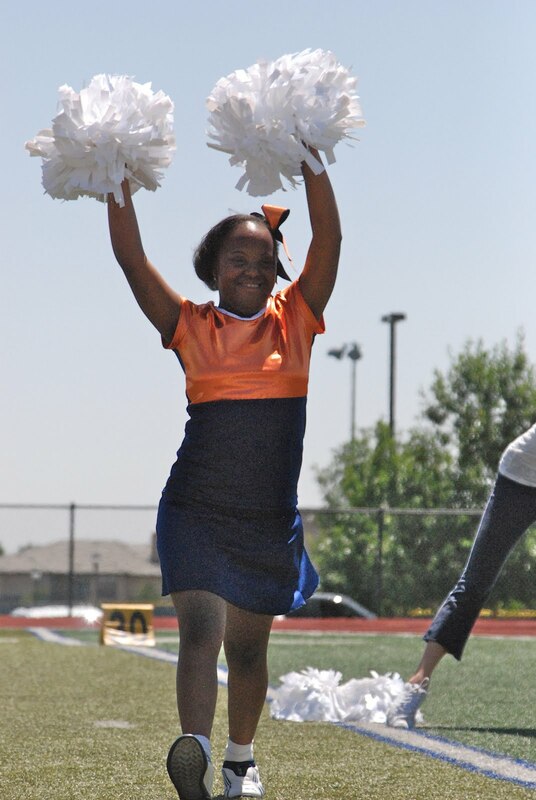 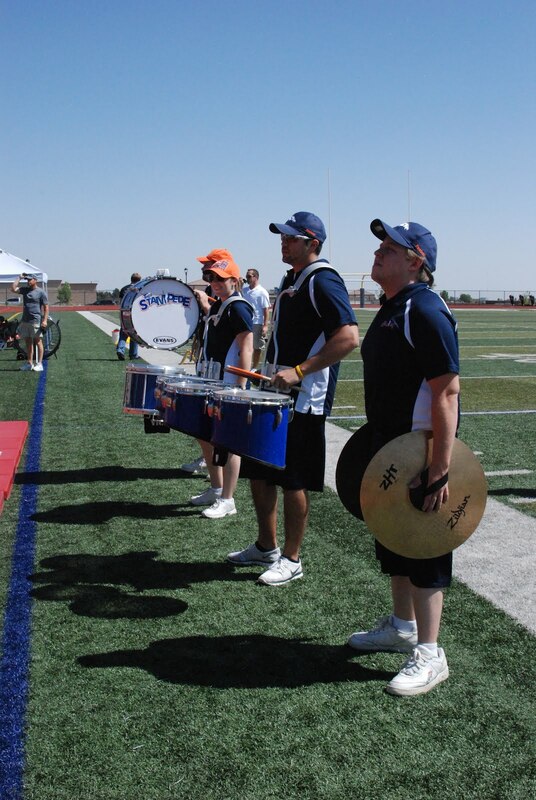 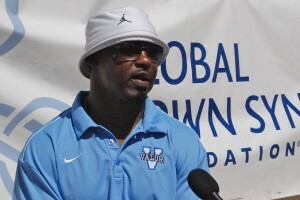 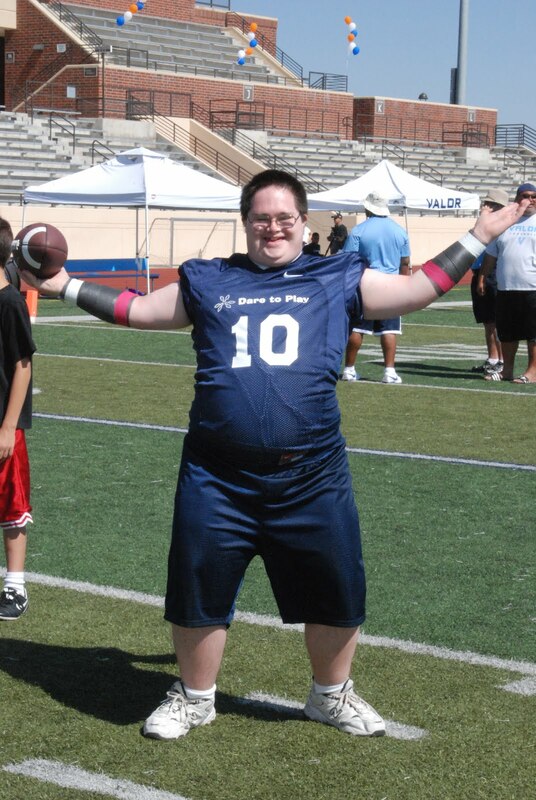 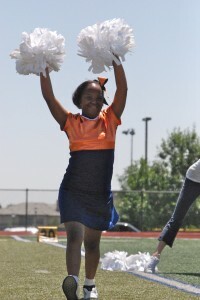 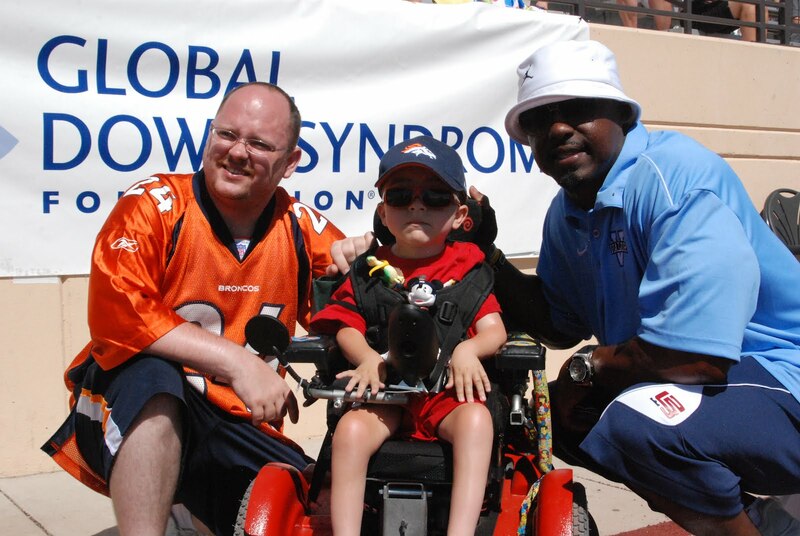 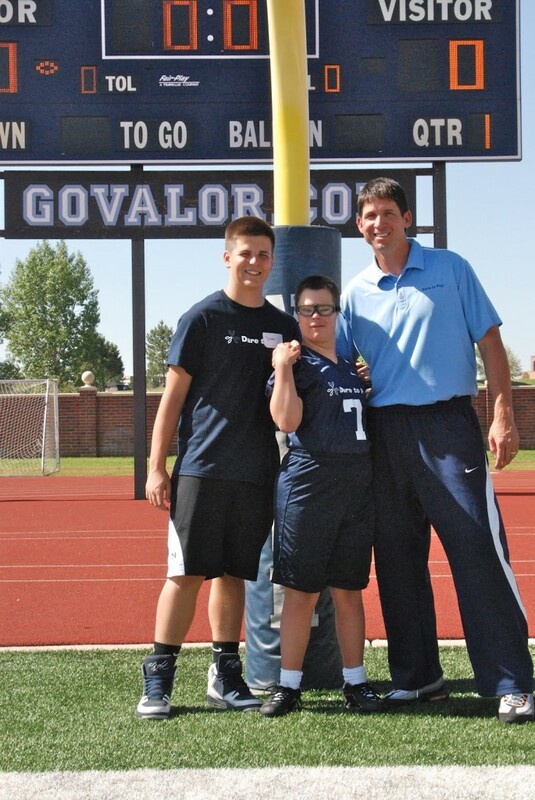 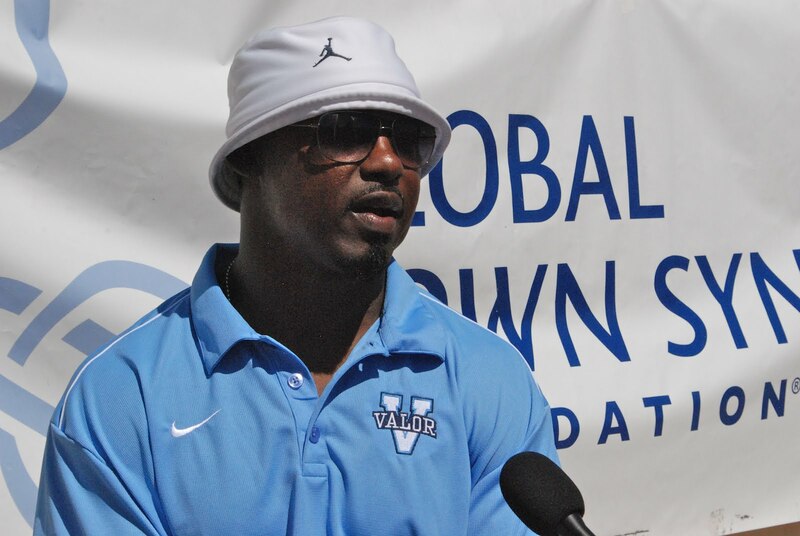 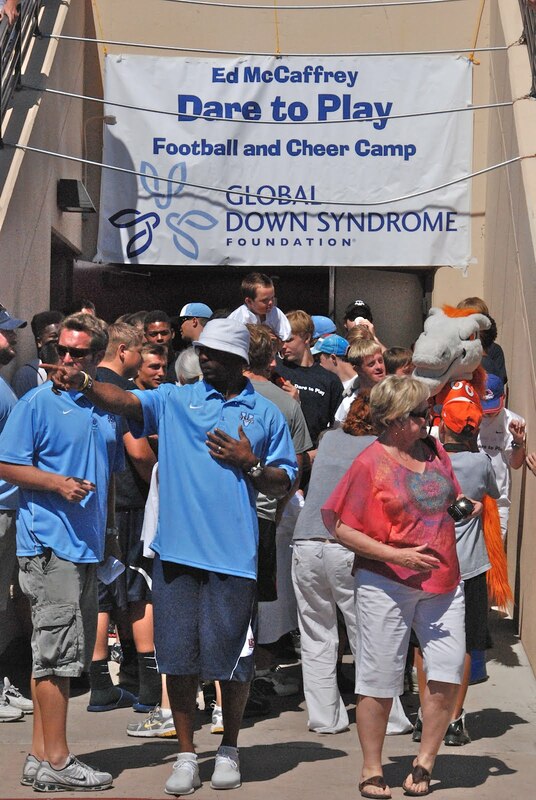 Thanks to the coaches and football team of Valor Christian High School, the Denver Broncos Cheerleaders, everyone at Global Down Syndrome for organizing this event, and all the vendors and entertainers who volunteered their time! 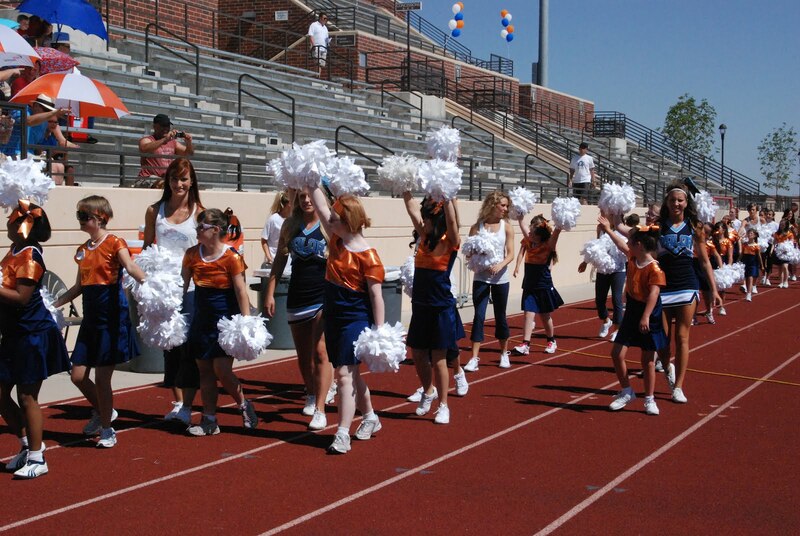 Thanks to our wonderful campers -- they gave us the time of our lives!! 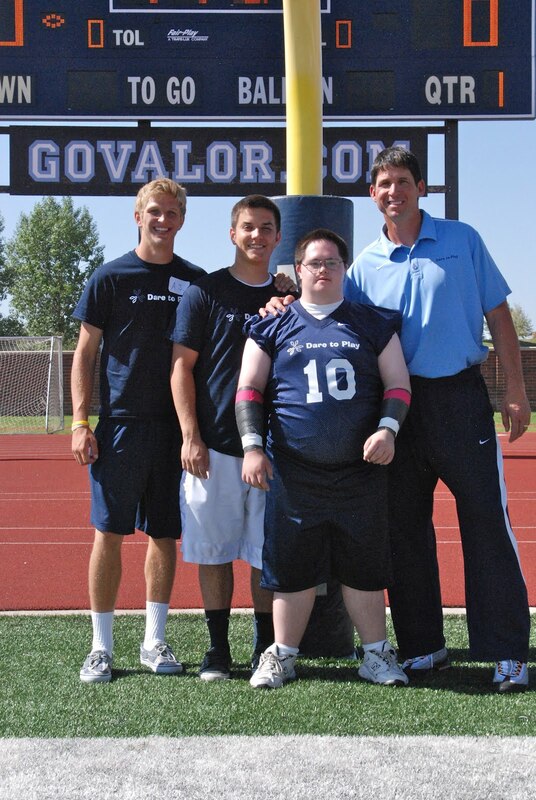 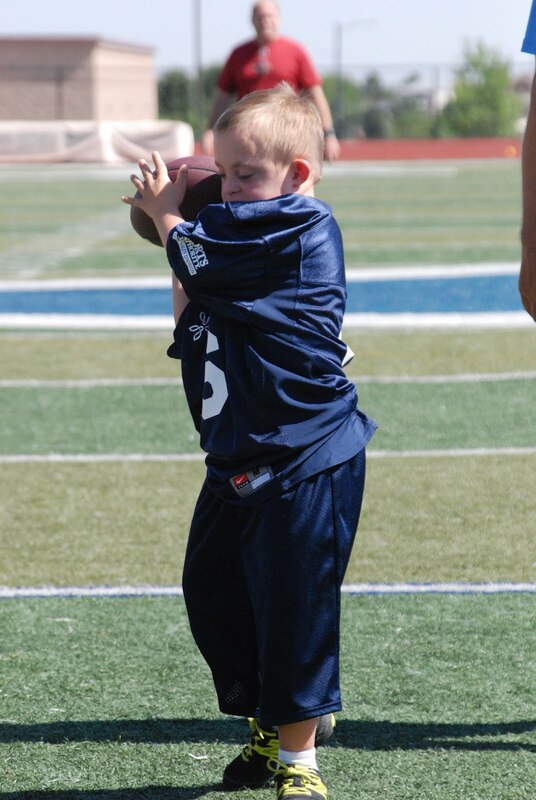 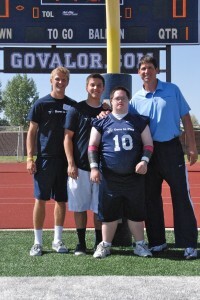 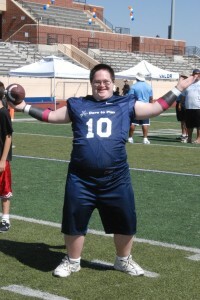 Thanks to all the parents and well wishers who came out to support these Down syndrome athletes for their big game! 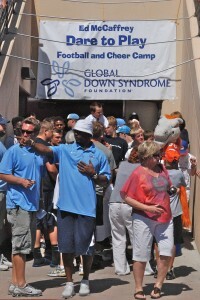 If you missed this event, it's annual and the public is invited -- so please come on down next year! 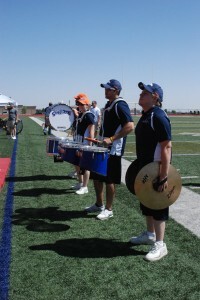 Follow us on Twitter for up to the moment news. 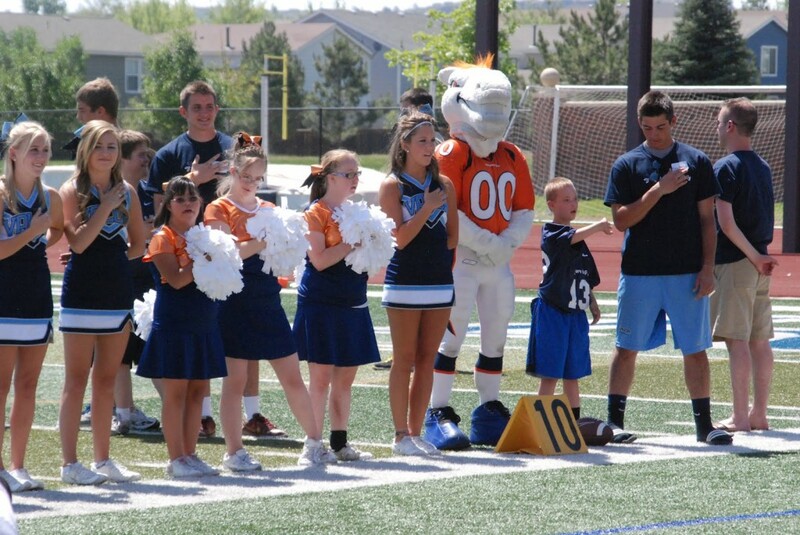 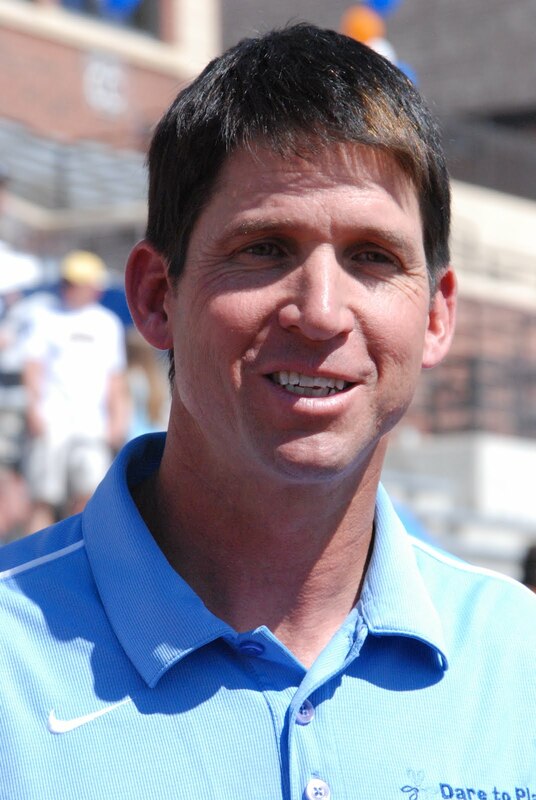 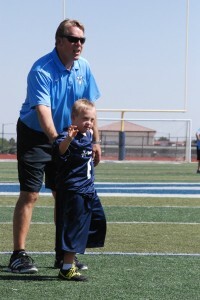 By submitting a comment here you grant youth football camp colorado | youth sports camp colorado a perpetual license to reproduce your words and name/web site in attribution. 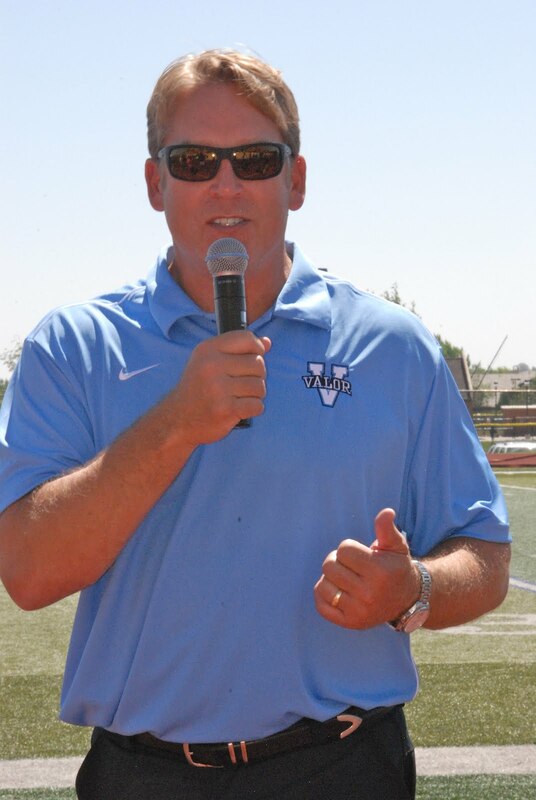 Inappropriate comments will be removed at admin's discretion.